Hartford Family Winery produces a range of single-vineyard Pinot Noirs, Chardonnays and old-vine Zinfandels. Pinot Noir is sourced from the Russian River Valley, Green Valley, Sonoma Coast, Carneros and Anderson Valley. 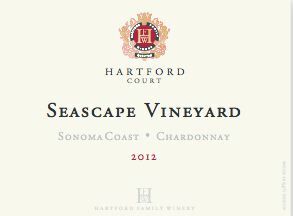 Chardonnays and Pinot Noirs are labeled as Hartford Court. Today, the winery produces up to four Chardonnays, ten Pinot Noirs and six old-vine Zinfandels. The winery has been a consistently fine producer of Pinot Noir, highly lauded in the wine press. Don and Jenny Hartford bought the property in 1992 and the first crush was in 1994, consisting of two Pinot Noirs and one old-vine Zinfandel. Jenny Jackson is Jess Jackson's daughter and Hartford is part of Jackson Family Farms. The most recent winemaker was Jeff Mangahas who left in late 2011 to go to Williams Selyem and was replaced by veteran Jeff Stewart, formerly at Buena Vista Carneros. The vineyard manager is Walt Chavoor. The emphasis is on sustainable, organic and biodynamic farming with tight vine spacing, low yields and dry farming. 400 acres are owned. All wines are either estate grown or sourced from longstanding vineyard relationships. Hartford gets to cherry-pick the most expressive blocks in the Jackson family's Sonoma Coast vineyards. Twenty different Chardonnays and Pinot Noirs are produced, totaling an annual production of 14,585 cases. 70% of production is estate grown. The original tasting room located at the winery is at 8075 Martinelli Road, in Forestville, and is open from 10:00-4:30 daily. A second tasting room and salon opened in May 2015 in Healdsburg at 331 Healdsburg Avenue, and is open daily from 10:30-5:30. The wines may be purchased from the website and some releases are distributed through retail channels and to restaurants.